There he is on the title-page: torn and tousled and bereft by all except a sympathetic dog. He’d had a bad morning (as you can see from the first picture because he had got out of bed the wrong way) and there’s nothing for it but to run away. But things go from bad to worse when bullies shove him over in the mire and only with the discovery of – what? – a tenpenny piece? – does he redeem himself. 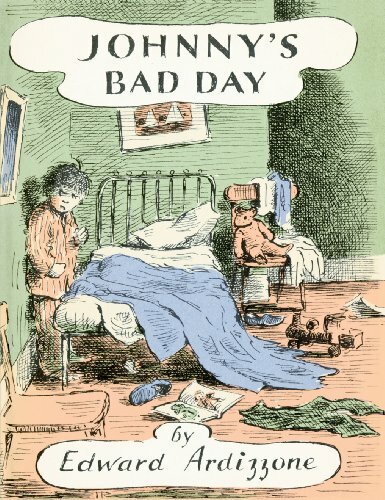 Not a word is told, apart from the title; the pictures do all the work; and, being by Ardizzone, they do so perfectly. The book was first published in 1970 and its emotional truth survives in this finely produced new edition.